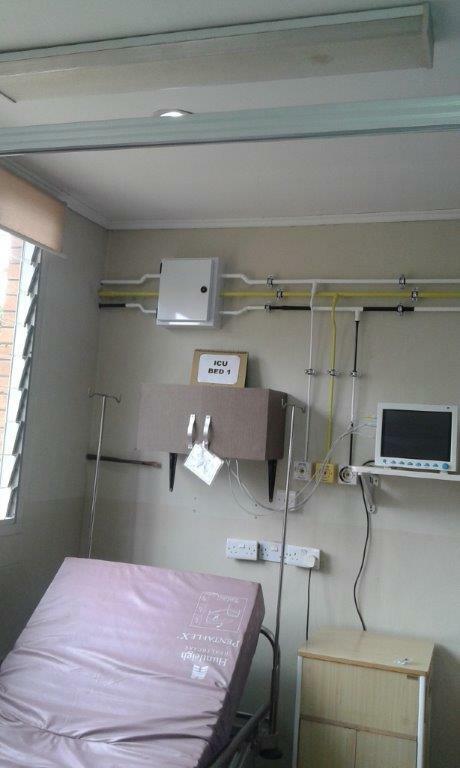 Intaka Tech was contacted by Daeyang Luke hospital after its Director, Dr Douglas Lungu, saw Intaka’s Medical Gas Pipeline Systems (MGPS) installation at another hospital facility within Malawi. Intaka, in conjunction with the hospital, undertook the medical gas survey and needs analysis for a MGPS for oxygen, medical air and suction. The installation took 19 days to complete, and included 50 oxygen terminals, 50 suction terminals, 4 medical air terminals and 1150 meters of medical pipeline, and was commissioned on the 3rd August 2017. Intaka has been requested to provide a maintenance program for the MGPS and the existing oxygen gas generating plant, vacuum plant and gas manifolds. Intaka Tech Uganda has their foot in the door of the Uganda Private Medical Oxygen Market with the commissioning of our first PSA Oxygen System at Case Hospital.